Amid the hype over China’s diaspora strategies, there are areas of neglect and tension that deserve critical scrutiny. Chinese diaspora strategies target the migrant professionals who studied overseas (haiwai xuezhe), rather than the professionals who completed their education in China and moved only when they became accomplished professionals and could capitalise on opportunities for skilled immigration to another country. Such Chinese professionals found Canada an attractive destination for lifestyle reasons and the educational opportunities for their children, but they experienced deskilling abroad and re-migrated to China again. 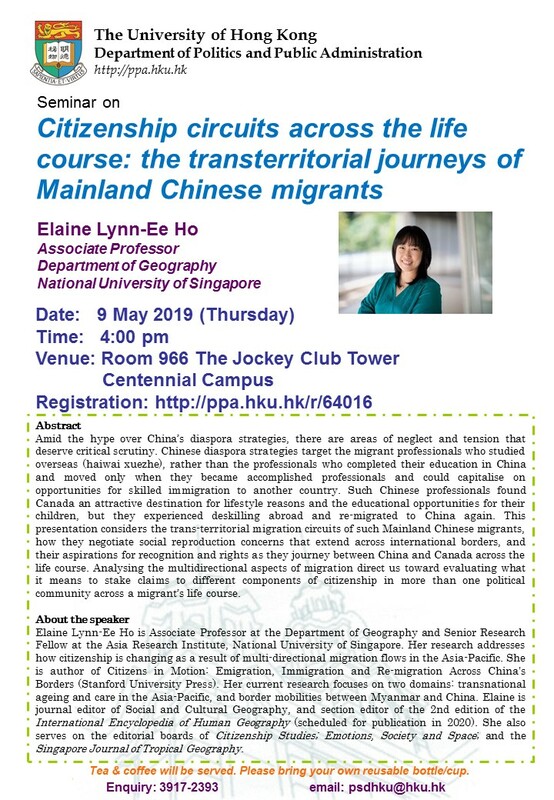 This presentation considers the trans-territorial migration circuits of such Mainland Chinese migrants, how they negotiate social reproduction concerns that extend across international borders, and their aspirations for recognition and rights as they journey between China and Canada across the life course. Analysing the multidirectional aspects of migration direct us toward evaluating what it means to stake claims to different components of citizenship in more than one political community across a migrant’s life course. 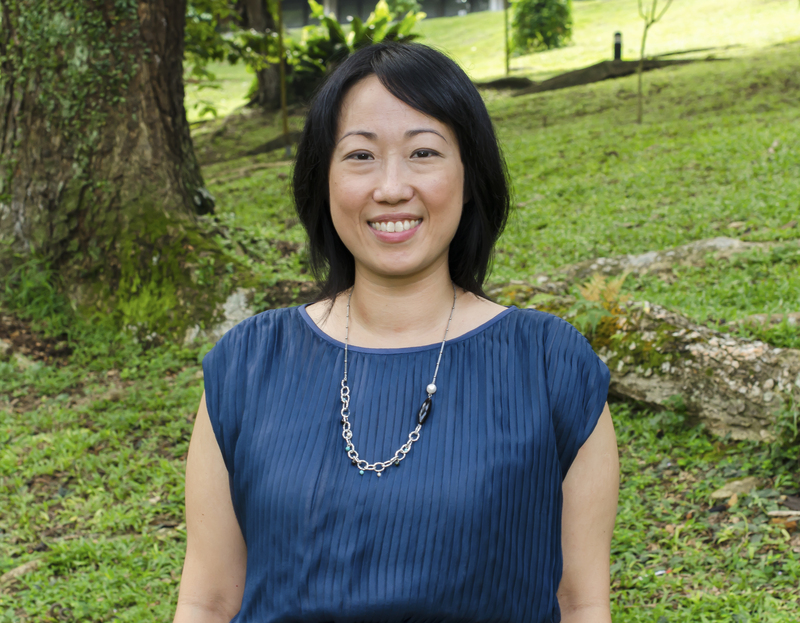 Elaine Lynn-Ee Ho is Associate Professor at the Department of Geography and Senior Research Fellow at the Asia Research Institute, National University of Singapore. Her research addresses how citizenship is changing as a result of multi-directional migration flows in the Asia-Pacific. She is author of Citizens in Motion: Emigration, Immigration and Re-migration Across China's Borders (Stanford University Press). Her current research focuses on two domains: transnational ageing and care in the Asia-Pacific, and border mobilities between Myanmar and China. Elaine is journal editor of Social and Cultural Geography, and section editor of the 2nd edition of the International Encyclopedia of Human Geography (scheduled for publication in 2020). She also serves on the editorial boards of Citizenship Studies; Emotions, Society and Space; and the Singapore Journal of Tropical Geography.